Falcon Jane - The News. Background - Grief is so complicated. It fills you with unanswerable questions, fear, sadness, and incomparable emptiness – but it is also about moving on and healing. There has been a lot of loss in the Canadian news lately, nationwide, and in my own community. “The News” is about losing someone you love and trying to find them amidst the dense, emotional fog of grief. I hope it can help aid those who are grieving by reflecting some of the complicated emotions we are feeling. There have been severe floods in my community over the last year. One of the last ones swelled the Grand River, washing a little boy out of his mother’s arms. I was so deeply affected when I heard about it – my partner and I had driven through the area where it happened only hours before. There are a lot of commonalities between “The News” and this boy’s story. When the next flood hit, I couldn’t help but try to capture some of what my community and I had been collectively feeling. Water can be powerful and destructive, beautiful and cleansing. Its constant flow reminds us to keep moving forward – yet we are at the mercy of the current, the rainfall, and the floods. TWITTER. 'The News' is melodic, sensitive and touching. Dealing with grief is a subject many might to choose to avoid, when it comes to song writing and performing. 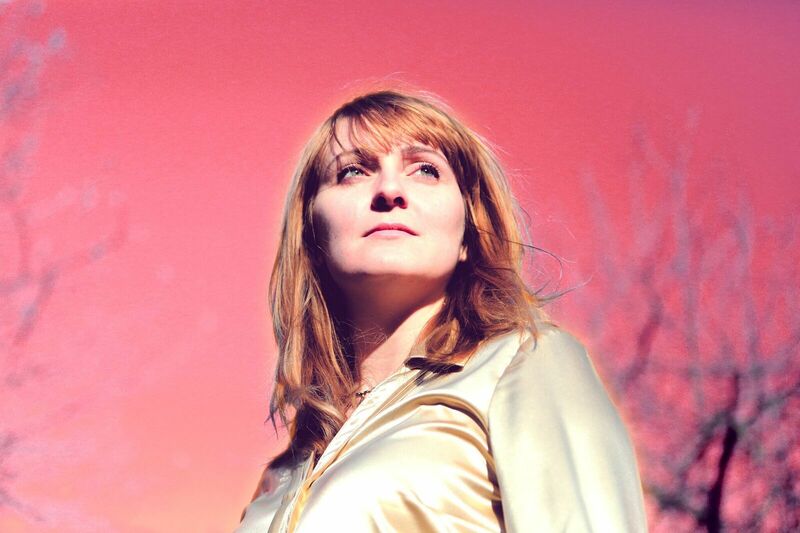 Falcon Jane demonstrates both empathy and passion with this song, singing about reality on the other hand, is something many artists do. After all when you come away from escapism and denial, reality is always there to greet you. Joshua Burnside - A Man Of High Renown. 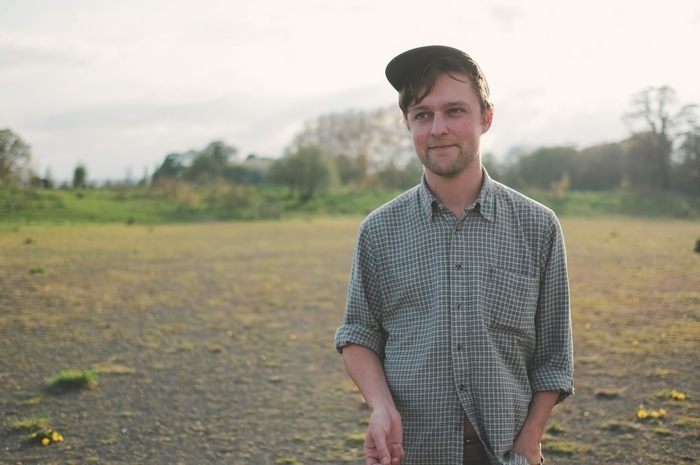 Background - Singer-songwriter Joshua Burnside follows up his Northern Ireland Music Prize winning debut album Ephrata, with a brand new EP entitled All Round The Light Said, due out on 29 June via Quiet Arch. Weaving elements of Irish traditional and European folk music with hints of Americana, he creates songs that are understated yet passionate and heartfelt. The EP features four new songs. In lead-single “A Man Of High Renown”, he blends a joyous waltz complete with air organs and accordions with often violent and disturbing imagery, dealing with the shame of sins committed in childhood; “where the dusty garage floor, along your soft skin tore.” Clash premiered the single saying, "From the delightful accordion lines to the thumping percussion, 'A Man Of High Renown' has a physical side to its engrossing poetry." A multi-instrumentalist, Burnside plays most of the instruments on the album but was also joined by a number of collaborators and producers with whom he’s worked with over the past few years, most of whom have their own solo projects. These include his brother Connor on drums and percussions, Clark Phillips on bass and Sarah Martin on trumpet. Following the release of Ephrata Joshua Burnside has had a busy year clocking up four million plays on Spotify, with two sell out London shows, appearances at International festivals including Reeperbahn and The Great Escape. He has also had extensive radio play and support from the likes of Guy Garvey, Tom Robinson, Tom Ravenscroft, Lauren Laverne, Huw Stephens and Phil Taggart. Joshua performed at the Atlantic Sessions in Portstewart, as well as the music trail for Other Voices in Dingle in December. FACEBOOK. The thought of Irish traditional music mixed with European folk and Americana is on the surface a little like looking at a menu of fine foods in a high class restaurant, which I could never afford. Without wanting to over play that illustration 'A Man Of High Renown' does have a good helping of the core ingredients, along with plenty of natural charm. Background - Since debuting with catchy single Human early 2016 things have moved steady for Stockholm psych pop act Melby. Last year's debut EP received praise from both Swedish and international sources such as Amazing Radio, Ja Ja Ja and Line of Best Fit, making Melby one of the most exciting names on the Swedish indie scene. Today, new single Reject is released followed by European tour dates in London and Berlin during the summer. The band often gets comparison to fellow swedes Dungen and Amason but Melby’s dynamic sound, with influences from folk, psych, indie and pop, stand out. The quartets light, semi-psychedelic folk pop is led by Matilda Wiezell’s enchanting voice which fits perfectly with Melby’s unique musical landscape. The band consists of Wiezell, Are Engen Steinsholm (guitar), David Jehrlander (bass) and Teo Jernkvist (drums) and formed when living together in a Stockholm shared housing. Reject, their first new material in over a year, is a development of the band's already characteristic sound, adding an energy that's mostly been seen live to this date. Are, guitarist and author of the song, explains: "We all wanted an energetic song to play live. David had this great, kind of spiteful guitar part and bass line for the intro, and a melody for the verse. Back then with a weird synth sound. Building on that, we speeded up the song, and finished it together. At the time, I was annoyed with a person close to me. As I walked around being cranky, I started writing the lyrics, and they wound up being about building up anger for a long time, being awfully stubborn, and longing for redress". The single is the first taste of the new, fresh material that the quartet's been working on since releasing their ambitious EP which of more is to expect after the summer. 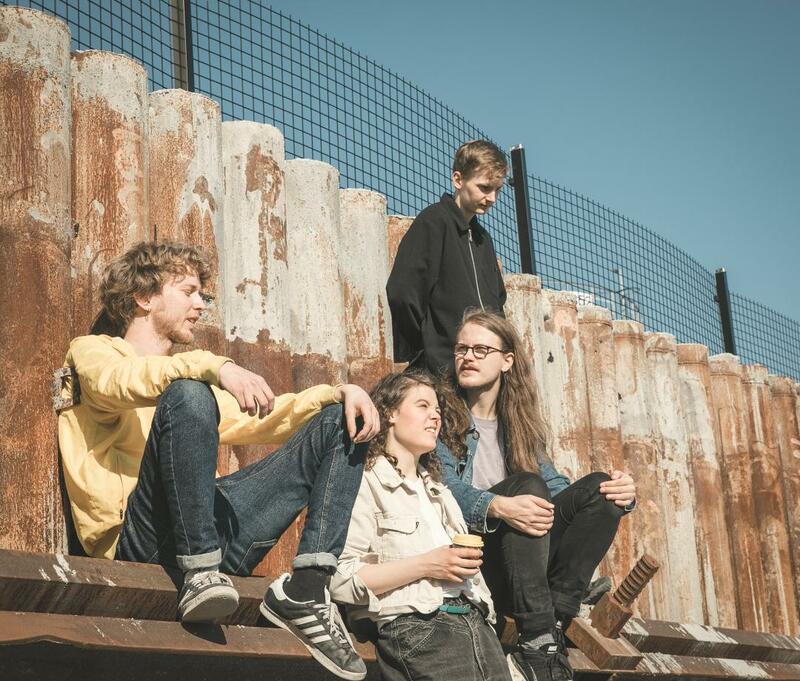 On June 5, Melby make their international debut at Sebright Arms in London (w/ label mates Chez Ali and Delsbo Beach Club), followed by a Berlin show in August. Reject is released on all platforms via Stockholm label Rama Lama Records (Steve Buscemi's Dreamy Eyes, Kluster, Chez Ali etc.). TWITTER. Lively and with a refreshing pace 'Reject' is a fine indie song where psych vibes comfortably rub shoulders with moments of pop and folk rock. The vocals are delightful, the music is detailed and assessable, the catchy nature of the piece is constant throughout. BEEHIVE CANDY ON FACEBOOK: Please note that we are currently unable to access our Facebook account. Despite numerous suggestions and online help (hmmm) service assistance the problem remains. Once/if the problem is resolved we will decide the way forward. Because of the intrusive nature of Facebook (tracking/data collection when logged off etc), I will not ask anyone involved with Beehive Candy to use their own private devices to assist, on principle.